Apple released the iPad last February, and it took other manufacturers a little while to catch up. Now it looks like they have. CES 2011 promises to kick start the year of the alternative Tablet as manufacturers use the gadget show to bust out a range of iPad rivals powered by the Google Android operating system. – first things first, that flat black rectangular touchscreen look is going to dominate a whole swathe of devices. Though also expect some more innovative designs – flip out keyboards, foldable devices and manufacturers pushing the boundaries at both ends of the size bracket. – the iPad got as much coverage for what it left out as what it included. Omissions from the first iPad included a camera, support for Flash, USB or HDMI ports. An easy way for a manufacturer to get the edge on the iPad is to include these features. – one of the weaknesses of Apple’s wunder-tablet is that there’s only one of them and it’s pretty damn expensive. The under $500 market will be hotly competitive, and smart manufacturers will be looking to hammer out contract deals with 3G internet providers to make the devices more appealing to the buyer. – Android’s Honeycomb operating system for tablets is getting released early in 2011 and given the apps available on the platform and the track record that Android has, it’s no surprise that this is the first choice of platform for manufacturers. Windows 7 will also be putting in a strong bid, after the success of Windows 7 for phones earlier this year. Steve Ballmer from Microsoft is due to deliver a keynote on 5th Jan and we expect some tablet announcements from him. 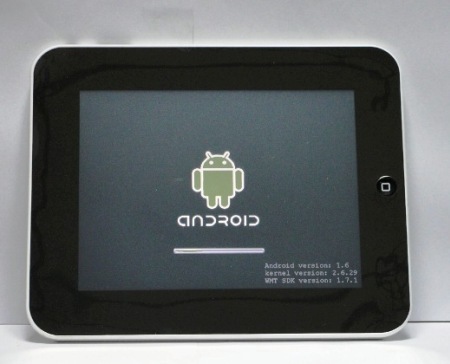 – Android’s Honeycomb operating system for tablet is rumoured to require dual core processors. This will give tablets some serious speed and processing power.